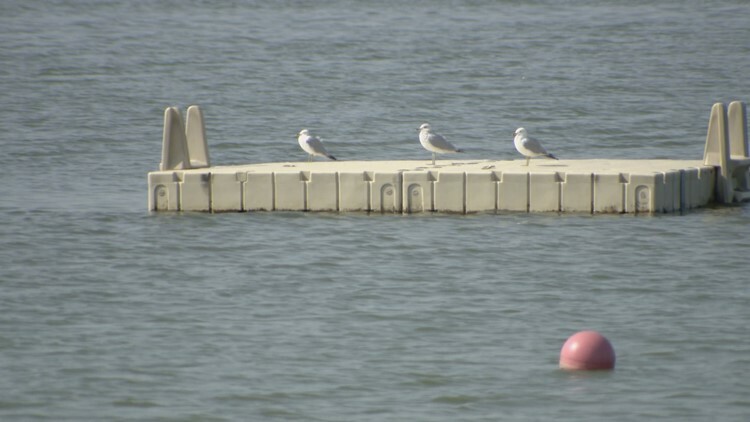 Witnesses say that the man was near the floating dock and that several people dove to recover him after hearing cries for help. MINNEAPOLIS - The Hennepin County Sheriff's Office says an adult male was pulled out of Bde Maka Ska in Minneapolis and taken to an area hospital after a near drowning on Sunday afternoon. Zach Boumester was fishing near the shore in a boat when he was called over to help recover the man on the floating dock. He said when he got there the lifeguard was there performing CPR. Boumester said that they loaded the man in the boat and they took him to shore where the Minneapolis police and an ambulance were standing by. Boumester said, "I wish I would have realized sooner...Fortunate I was in the area." He was glad he was able to get the man to shore faster with his boat. Another witness Jenny Anderson was floating in the water when she heard cries for "help." She said that several people dove into the water to recover the man. The current condition of the man in the hospital is not known.